Constructed from GRP which is highly resistant to corrosion. CE-TEK’s FG (GRP) hinged enclosures are high resistant to corrosion and rated to IP66. 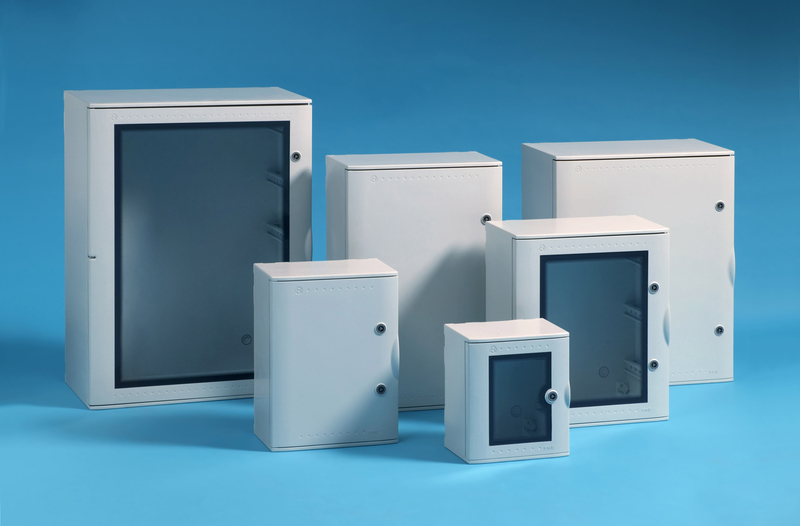 FG enclosures are available in 7 popular sizes with either opaque or glazed doors and finished in light grey (RAL 7035), as standard. Also available in red (RAL 3000), other colours and with screen printing options, the FG range is suitable for a wide range of commercial and industrial applications. Optional extras include: standard and insulating mounting plates, inner doors, module frames, blind panels, DIN rail assemblies, vertical frames, wall brackets and many more.